It’s the city’s third consecutive year of population loss. Chicago’s population fell by 8,638 residents between 2015 and 2016, to 2,704,958. The year before, it declined by 4,934. Photo Credit: ©1999 EyeWire, Inc.
Illinois’ population fell by more than any other state in 2016, down 37,508 people, according to census data released in December. Chicago’s population drop is part of a larger pattern of slowed urban growth in 2016. The country’s top cities did not see the same surge as in previous years, experts say. During the recession of 2008, families chose to stay in or move to core urban areas, and migration to the suburbs decelerated. Now, as families recover economically, they’re deciding it’s time to move back to the suburbs — a trend experts say may keep city populations where they are for the next few years. Illinoisans in recent years have flocked to Sun Belt states, such as Texas, Arizona and Florida, contributing to the local population loss. During the years after the recession, migration to those states slowed, but then it heated up again as states in the South and West had greater job opportunities and affordable housing. Chicago’s population fell by 8,638 residents between 2015 and 2016. It was the only city among the nation’s 20 largest that lost population during the year, according to newly released data from the U.S. Census Bureau. While the major cities in those states continue to grow, they aren’t growing as rapidly as they have in recent years. Houston, which saw the second-largest increase among major cities in 2015, when it gained 40,817 residents, gained 18,666 residents in 2016. Demographers last year told the Tribune that Houston’s growth in 2015 was a sign it could overtake Chicago in a decade as the nation’s third-largest-city. But with the slowing growth of big cities overall, experts aren’t sure it will happen so soon. Even New York didn’t see as much growth in 2016 as it had in previous years. It grew by 21,171 people, compared with 44,512 people in 2015 and 49,530 in 2014. “The big city growth we saw at the beginning of the decade is not quite as evident in the last couple years,” said William Frey, a demographer with the Brookings Institution who analyzes census data. By most estimates, Chicago’s population will continue to decline. Over the past year, the Tribune surveyed dozens of former residents who said they have packed their bags for a variety of reasons: high taxes, the state budget stalemate, crime, the unemployment rate and weather. Black residents have been among those leaving in search of safe neighborhoods and prosperity, with many heading to the suburbs and warm-weather states. 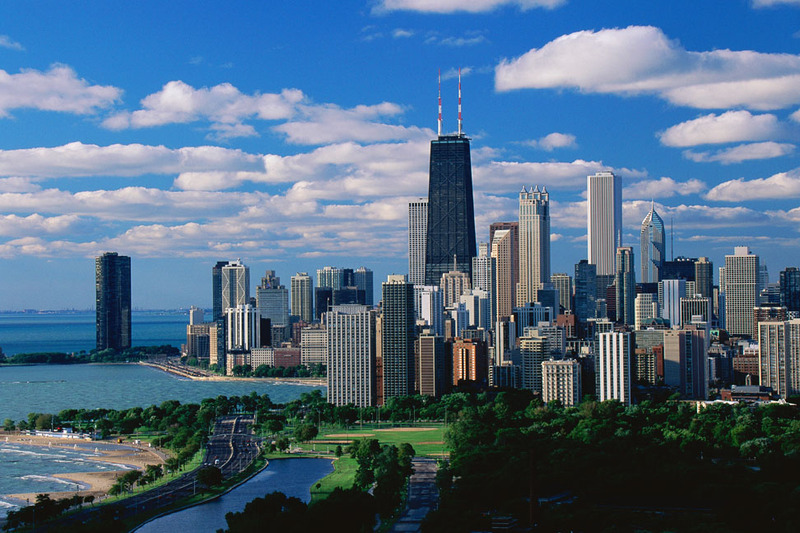 Chicago lost 181,000 black residents between 2000 and 2010, according to census data. Chicago’s population plunge continues to be a result, mostly, of losing residents to other states. About 89,547 residents left Chicago and its surrounding suburbs for other states in 2016, a number that couldn’t be offset by new residents and births, according to an analysis of census data released in March. The number of people leaving the Chicago region is the highest since at least 1990. More than any other city, Chicago has depended on Mexican immigrants to balance the slow growth of its native-born population. During the 1990s, immigration accounted for most of Chicago’s growth. After 2007, when Mexican-born populations began to fall across the nation’s major metropolitan areas, most cities managed to make up for the loss with the growth of their native populations. Chicago couldn’t. The entire Midwest has been losing residents, census data show. Detroit lost 3,541 residents from 2015 to 2016, and Milwaukee lost 4,366. But job and business opportunities are still stronger in neighboring Midwestern states than in Illinois, sending more Chicagoans to other parts of the Midwest than vice versa, experts said. The greatest number of Illinois residents in recent years went to Texas, followed by Florida, Indiana, California and Arizona, according to 2013 Internal Revenue Service migration data. Chicagoans are likely to continue heading to those warmer states, as the South in 2016 was home to 10 of the 15 fastest-growing large cities. The population of Texas as a whole continues to rise, and the Census Bureau placed five Texas cities on its list of major cities with the largest population increases. Michael Bennett, 43, moved to Houston for a job in 2008, but was so committed to staying a Chicagoan that he kept his Lincoln Park home, and would fly back on spare weekends and holidays. He sold his property and settled in Houston for good in 2015, saying his “romance and love for Chicago couldn’t outweigh” his concerns about the city. The cost of living was too high, he said. Property taxes kept rising. His home was robbed twice. “It’s not just limited to poor neighborhoods. Trouble could strike anywhere,” he said. He had moved to Chicago in 2005 after spending most of his life in Michigan. Living in Chicago was always his dream, and he still misses being on the lakefront and strolling down Michigan Avenue. But Houston offers a diverse, cultural lifestyle similar to that of Chicago, he said. He’s received job offers to return to Chicago, but even a higher salary couldn’t balance increasing property taxes, he said. Bennett said he thinks there will soon be a “tipping point” in Chicago, when more residents realize it’s time to go. “It’s just sad to see that people have to leave the city to protect their own future cost of living,” he said.